Great mod, although the fresco textures on the sides (which use "One True Faith - Saints and Frescoes Retexture by Tyddy" are clashing horribly. Totally my issue since it's a texture replacer issue. Just out of curiosity, what textures are used in the screenshots? Also, it seems there's a missing texture/mesh for in_v_s_trapdoor_03. Not sure what the problem is, and it may be mine since I am playing with a heavily modified texture group. I have the same issue. 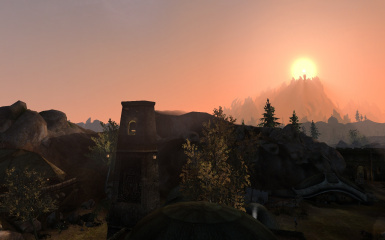 Guessing the file is in an older version of the mod? But I haven't been able to find it. A subtle and athmospheric addition to Gnisis, I really like it! Just one minor issue: the mesh for ^_gnss_in_v_s_trapdoor_03 is the file in "\meshes\Stav\gnss\d", but the mod searches for it in \meshes\ghns\d". Correcting the address solves the problem (this is the same issue that boothegentlemancaller and paleknightess were having). 3. Anyway, the mesh d\in_v_s_trapdoor_03.nif is non-existent; stav\gnss\d\trapdoor.nif is the one you want. I hope this proves useful to any future downloaders. How do I fix this? In the creation kit? Just too bad i can't keep it, because of the landscape texture, looks completely messed up with this mod on, and i don't have the necessary skills to fix it myself... I will wait patiently for a fix, so i can install it again. 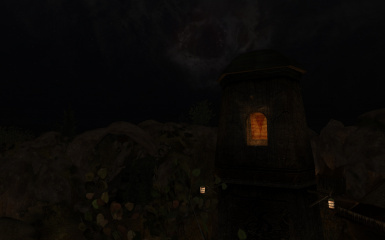 The tower itself looks really great, it add much atmosphere, very well placed! I have updated the file 02.04.2016, all ground edits are gone. Well i don't know what i'm doing wrong then... look it yourself... The HD ground part simply disappear for that blurry terrain.. It has nothing to do with my mod. Even in the first version I didn't touch Gnisis this far. Check your load orded for conflicts. It was a load order conflict after all... Now i can finally play it! Big thanks for your patience! 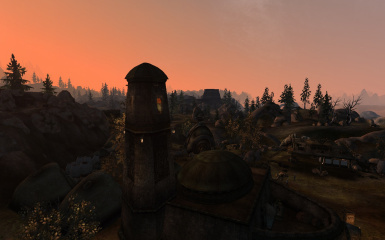 You should register .BSA archive in the Morrowind.ini. Great looking mod, I'm looking forward to the fixed version! This is such an interesting idea! Great looking model too. If I can, I'll try and take the time to actually test it out in game. Thank you for sharing this neat mod! Thank you. Your opinion is always appreciated. I did have a chance to check this out, by the way, I think RE4PER captured most of my technical comments. The only other thing I would mention is that the UV is a bit wonky in a few areas. Especially on the interior where the NPC is. Not a major issue or anything, just something I caught. I like the atmosphere this added to the settlement. I noticed that the .esp name is GR. Gnisis Reborn? Do you have intentions to make further changes to the village?? Bad UV? That can be true, but this is the best I can offer with my current level of skills. Yep, Im planning to remodel temple exterior completely to represent arabic feeling of concepts in some way, but I way too occupied with life matters at this moment. So there we go -- only tower for now. I can point them out and offer suggestions for redoing those areas for future reference if you want. I haven't looked too closely, but there was just some stretching in different areas. And the UV on the trap door edge was rotated 90 degrees from where it needed to be. 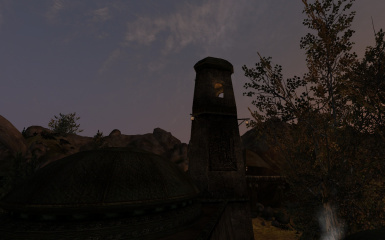 A truly excellent addition to Gnisis, the minaret is a great immersion detail for the city and very atmospheric! It's really cool to see details like this being added to the world, I hope you make more mods in this vein! Endorsed. Really nice addition for atmosphere. Still shows "missing texture" on cs load up with fixed version. Also, tower entrance on inside of temple is on opposite side of exterior tower. Oh lol, my bad, I will fix it as soon as I get close to PC, thanks for report. I'm also still getting missing texture errors from the fixed version, but apart from that, wow! 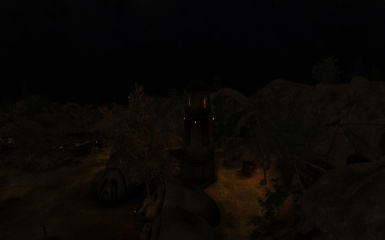 The amount of atmosphere this adds is stunning Thank you, Stavroguin! I think this one's a keeper. I would be very glad if you make fixed version and upload it. No prroblem I just need the missing texture. Or should I remove the texture from the model? 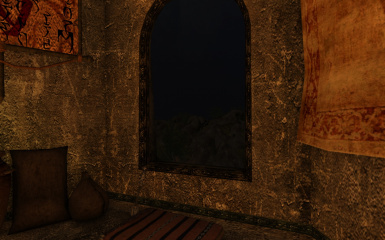 I checked it in NifScope and did not see where the texture could be mapped. This texture is probably attached to collision, so you can remove it gloriously.